Yes, dreams do come true. 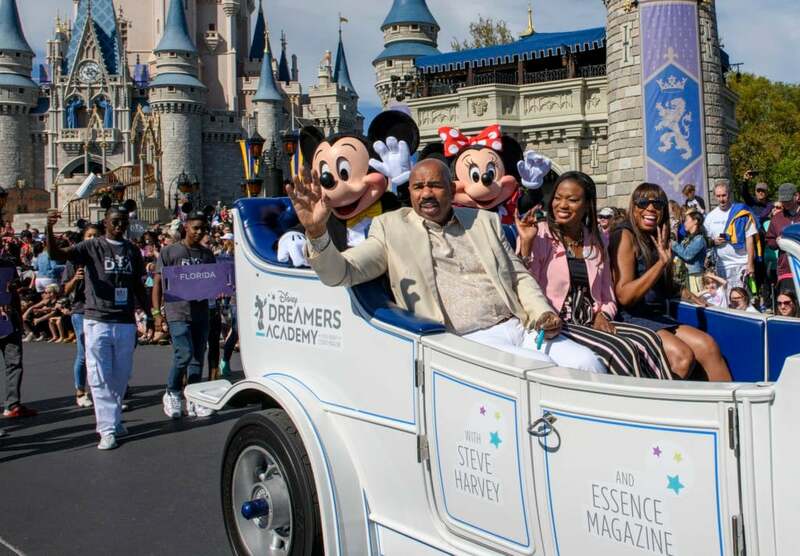 Disney Dreamers Academy provides inspiration and education for our future leaders nationwide by fueling their dreams and showing them a world of possibilities. Each year, students participate in hands-on, immersive career workshops, ranging from animation to zoology. ESSENCE has partnered with the life-changing event for more than a decade. Past speakers include Patti LaBelle, Mary J. Blige, Magic Johnson, Yolanda Adams celebrity chef Carla Hall and “Good Morning America’’ co-anchor Michael Strahan. More than 1,000 students plus a guardian have participated in the all-expenses-paid annual program that gives dreamers hands-on experience in their area of interest from zoology to law and communications. Students are selected from thousands of applicants who answered a series of essay questions about their personal stories and dreams for the future.